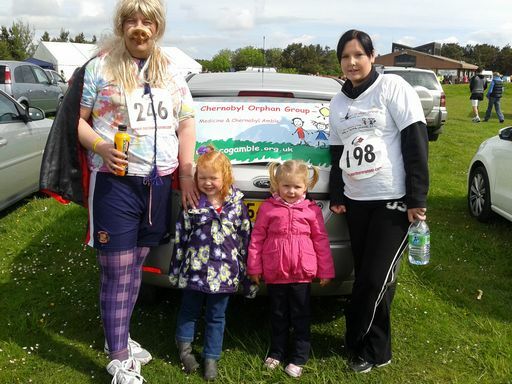 Friends and members of the Chernobyl Charity will be running to raise funds. 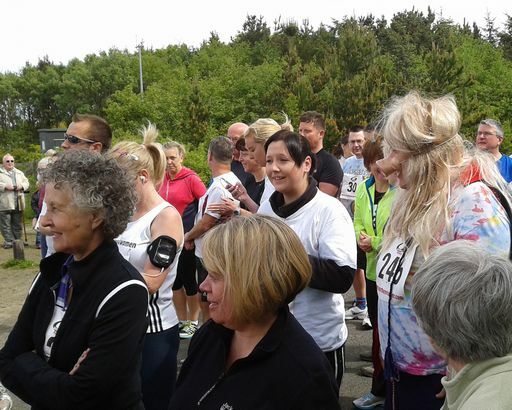 At Druridge Bay Country Park on Sunday 3rd June 2012 setting off at 10:30 am. 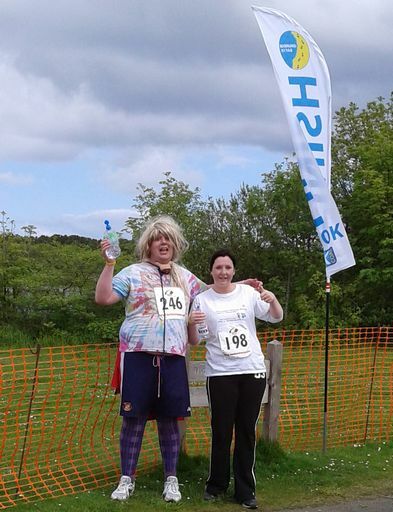 Charity secretary John Hardy and charity supporter Donna Straker took part in the 10 kilometre event on Sunday morning. The event started promptly at 10:30. 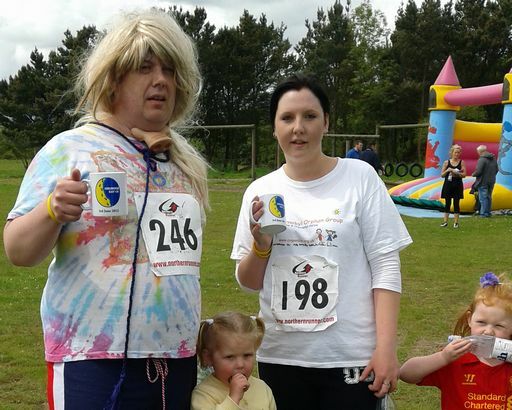 John & Donna were sponsored to complete the run, raising over £400. 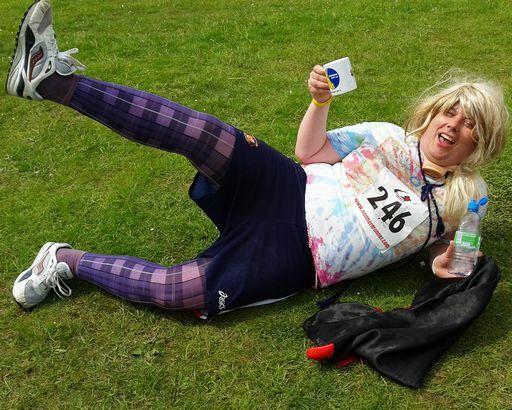 John set off in fetching purple tights, black cape, Miss Piggy snout and luxuriant Hannah Montana wig. The course took the runner's jogger's and walker's over various terrain including gravel paths, roads and sand sections. The soft sand sections were "killers" said Donna. Both runners completed the course together and received their souvenir mugs to commemorate their efforts. Although they both finished in the latter half of the field they were probably the happiest runners in the race. Donna was delighted that "the man with the stick" hadn't managed to overtake her. "I'm sure he was a ringer..." said Donna, "...he started out walking with a stick but in the last part of the course he put the stick under his arm and started running full tilt..."